Demented Sound Mafia, besides being a dope name for a music production group, has actually impressed me with this project. I don’t usually go in on this kind of stuff, but I have to make an exception for Inspired. This is a compilation of soundscapes, cinematic offerings and tracks that need to be in your next extreme skiing video once you figure out how to get the GoPro off your helmet. 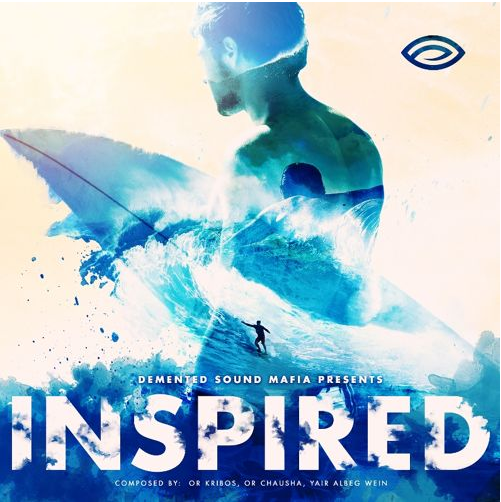 The tracks are soothing, ambient & perfect for your student film, skateboarding/surfing video or generally as a downtempo soundtrack for life. And just in case you think this is a random CD from a random outfit, you’d be wrong. They’ve had their work in soundtracks for Captain Phillips, Divergent, Paranormal Activity & a number of other movies. That’s right, you’re hearing them here before they even make it into the movie trailer you’re going to hear them in 6 months from now. Some of my favorites include I Conquer, Within My Reach & Earth From Above, but throw this on while you’re driving, getting things done, or winding down from a long night of partying. You’ll be thanking the global (literally, one from Oklahoma, one from Tel Aviv) pair of composers before the first track finishes up. This entry was posted in Of and tagged Ambient, cinematic, Demented Sound Mafia, downtempo, soundcloud, trip hop. Bookmark the permalink.